So, you know you have a food shortage when people start breaking into Zoos to eat the animals—and the animals themselves die from starvation. In Venezuela, the country has virtually collapsed, with shortages in food, a lack of access to medicine and clean water, and a government completely oblivious to the fact that left wing economics is killing its society. With Venezuelans resorting to looting in order to survive, why should we think that they wouldn’t break into a zoo to kill a horse for its meat (via Fusion)? Prosecutors say the crime occurred in the small hours of Sunday [7/24/16] morning at Caracas’ Caricuao Zoo, when “several people” sneaked into the state-run park under the cover of darkness and busted into the stallion’s pen. The horse, the only one of its kind in the zoo, was then led to a more secluded area and butchered on the spot. Only its head and ribs were left behind in a gruesome pile for zookeepers to find after sunrise. The India Times reported last month that 50 animals have starved to death over the past six months due to food shortages at the same zoo. 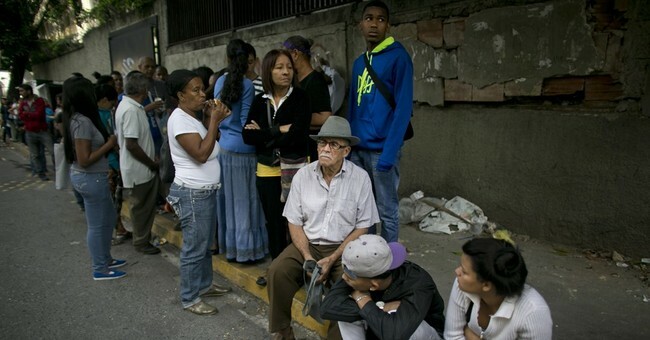 Over at Hot Air, John Sexton wrote about the deplorable conditions Venezuelans have found themselves in has only gotten worse, with mounting cases of severe malnutrition among children—along with Human Rights Watch declaring that the economy has collapsed. Still, the mindset of President Nicolas Maduro, the successor to the late Hugo Chavez, is Viva la revolución. It appears left wingers always seem to be content with human suffering as long as they’re not in the mix.